Financial Regulation Matters: Former RBS Chief Fred Goodwin Back in the Public Limelight: A Further Blow for the Failing Bank? Former RBS Chief Fred Goodwin Back in the Public Limelight: A Further Blow for the Failing Bank? Today’s short post looks at the news that former RBS Chief Executive Fred Goodwin (formerly Sir Fred Goodwin) will, unless there is a last-minute settlement, be forced into the public limelight nearly 10 years after exiting stage-right under a cloud of controversy. 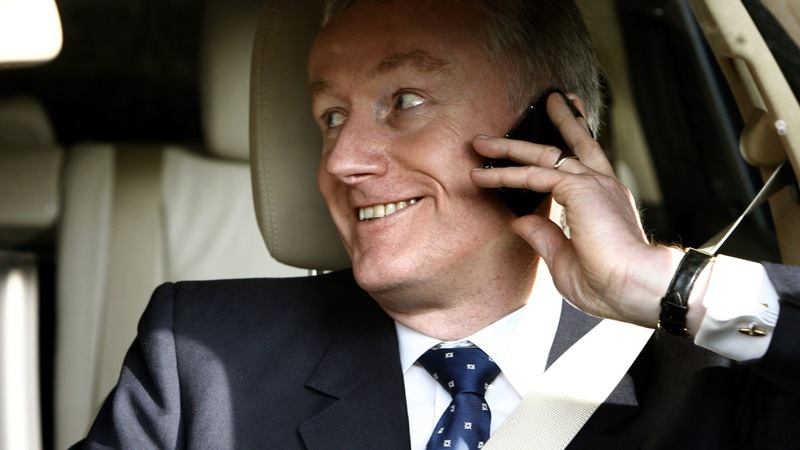 On the same day as the General Election in the U.K., Fred Goodwin is scheduled to appear before the High Court in London to answer for his actions during the Financial Crisis within a civil action brought by thousands of RBS shareholders who, citing three former board members as well as Goodwin, allege that they were misled regarding the health of the bank when they took part in a £12 billion cash call in April 2008. For this post the focus will be upon the case itself, but also the potential ramifications for RBS if their former Chief Executive’s business is aired in such a public and potentially hostile arena – as one commentator noted: Goodwin is being ‘cross-examined by a Barrister, not a politician, and a judge will not stand for grandstanding or turning it into a media circus’. In order to add a bit of context to this post, it will be necessary to go back a decade or so. In the second-half of 2007, the once-regional banking institution RBS had announced an operating profit of just over £10 billion, impressing all manner of onlookers. It had done this by setting out on an expansive mission to acquire as many financial institutions as it could, perhaps best exemplified with the October 2007 £49 billion takeover of Dutch banking giant ABN-Amro. However, this approach was built upon a mountain of debt, and ultimately, the bank was forced to accept the truly massive £45 billion bailout given to it by the British Government in late 2008. Yet, there are a few key points to mention before we get to the point of bailout. Just weeks before the ABN-Amro purchase, Northern Rock, Britain’s fifth-largest mortgage provider, had failed, resulting in a memorable ‘run’ on the bank which was a clear indicator of the perilous position of British institutions in relation to impending explosion of the U.S. housing bubble – yet Goodwin continued with the ABN-Amro purchase regardless, and was paid £4 million for doing so. Another key point worth mentioning, particularly with regards to the upcoming case, is that in April 2008 – before it accepted any bailout – the bank issued a call to its shareholders to support a record-breaking £12 billion cash call to strengthen its capital position in the wake of the burst global bubble. Writing at the time in 2008, one business media article notes that only a month before, Goodwin had assured shareholders that a cash call would not be necessary, but then quickly conceded that the ‘world had changed’ and the bank had to protect itself against some £5.9 billion worth of writedowns as a result of the Crisis. However, hindsight tends to cast aspersions on people’s judgements, and hindsight is key for the forthcoming case. The claimants – the group of 9000 shareholders, including institutional investors, small shareholders and former employees – allege that rather than simply requiring extra cash to shore up its defences, RBS chiefs were actively plugging holes that were developing because of their short-sighted and reckless approach. One key element of the claim is that RBS had been warned, by none other than leading advisors Goldman Sachs and Deloitte, that ‘some figures in the prospectus for the RBS cash call were vulnerable to misinterpretation [and that] investors might conclude RBS’s ability to withstand losses was stronger than it actually was’. Unfortunately, for RBS, there is plenty of smoke emanating from this cash call, which seems to all intents and purposes to be illustrative of a massive fire underneath. Shortly after the cash call was met, the bank was nationalised. Once nationalised, it became clear that the bank was simply not as strong as its leaders had claimed, with the immediate aftermath revealing the actual worth of the acquisitions undertaken by Goodwin to be up to £20 billion less than previously thought. The case hinges on the ability of the claimants to prove that this misinformation was intentional, or that Goodwin should have at least known about the state of affairs before initiating the cash call, and the crucial document is the prospectus offered in 2008 – it is worth noting that this is a civil case, meaning that Goodwin will not be criminally tried for his actions; the claimants compensation claim is £520 million plus interest (thought to take the claim up to £800 million). For Fred Goodwin, it will be one of the first times he has been in the public limelight since apologising and leaving his role of CEO of RBS, together with a reduced pension package. Some have labelled Goodwin a megalomaniac, whilst others suggest that he ‘wanted to do the right thing but it didn’t work out’. Yet, for the British Taxpayer, this case is likely to have ramifications far into the future, which is why the bank have worked tirelessly to keep this case from the courtroom – it is vital for the bank that the details of 2008 are kept private and, as the taxpayer still owns over 70% of the bank, perhaps it is vital for their interests too. Yet, although it would result in a massive loss and a tremor for the economy were RBS to suffer more attacks and losses, as previously discussed here in Financial Regulation Matters, perhaps it is time that institutions like RBS are not allowed to hide behind the fear-mongering that revealing their inner-workings may cause. Perhaps, what this country, and arguably every other country needs is for the financial elite to recognise that their actions will be scrutinised, regardless of the negative effects that the scrutiny may cause. If the case does materialise over the next few weeks, it is likely that we will see damning details of a bank ran irresponsibly, negligently, and ultimately fraudulently, all overshadowed by the understanding that the taxpayer had to save it is anyway. It is hoped, if the case does materialise, that the public pays attention to the details of the case and sees the financial elite for what they are – in reality, the country will likely be more interested in the results and aftermath of the General Election; if only more people could see how closely related those two elements are.